I adore the downtown Raleigh food scene. I chose this city as a home base because of its dining options and so much more, and I love coming home time and again after days or weeks of traveling the globe. Whether you’re a local or just passing through, the downtown Raleigh food scene has something for everyone. My favorite places have a taste of the south, a touch of the ocean, carbs-a-plenty, and lots of sugar to top if all off. Have you heard of grits? They are a traditionally southern food item and even have a “cameo” of sorts in the movie “My Cousin Vinny.” (Think of a Cream of Wheat consistency but with a much coarser grade of corn meal.) 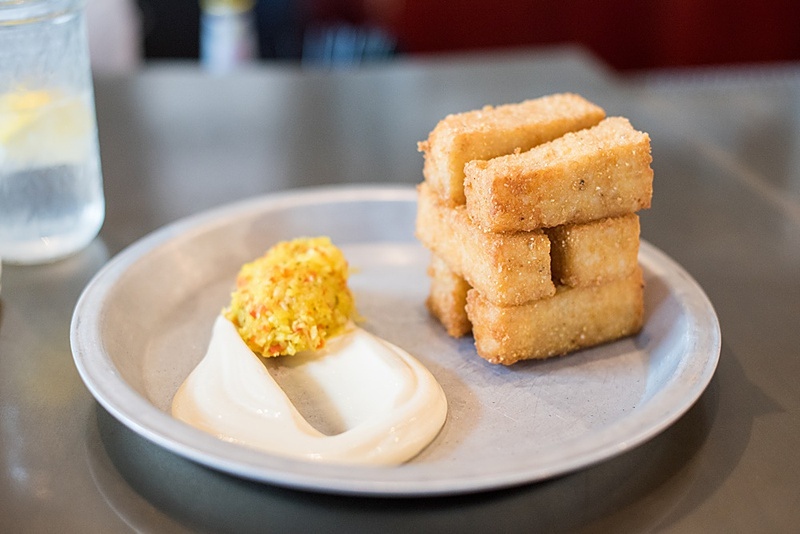 Somehow Beasley’s manages to create little bricks of grit goodness in this appetizer that is certainly generous enough to be a main course. About three months later, I moved into my apartment in downtown Raleigh, just blocks away from Beasley’s. The first thing I ordered upon my first visit back to the restaurant, after a long day of unpacking boxes and organizing my abode, was grit fries served with malt aioli and chow chow (a southern cole slaw, of sorts). I’ve never seen this delectable and unique item on another menu, and I tend to crave it every few months. You’ll thank me after you’ve had it. 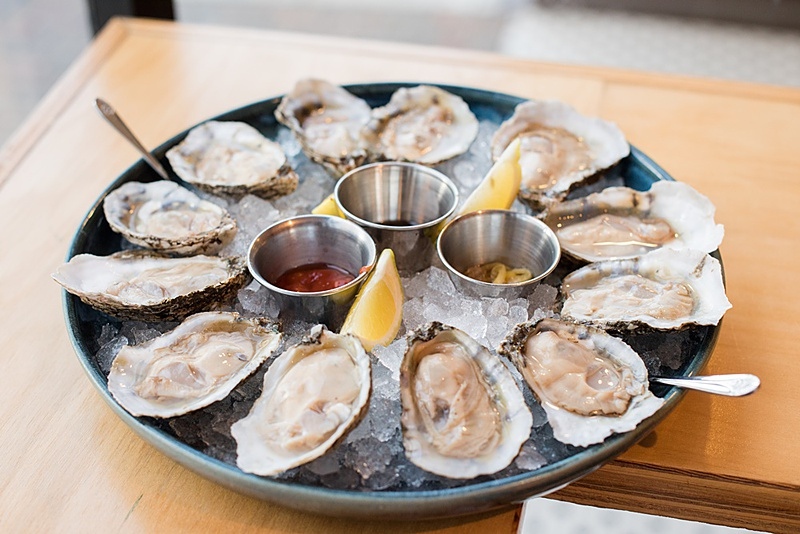 Who can resist oysters served up for happy hour just blocks away from where you live? St. Roch is one of my favorites spots to head to with a girlfriend on any given weekday. We always start with a dozen oysters, along with some of their amazing fresh horseradish and fried saltines (yes, fried! ), and wash it all down with a glass of wine. If we’re feeling extra indulgent, we’ll order a couple of oyster shooters to spice things up. I like carbs, and I cannot lie! We always have bread in our home, and there’s only one “correct” way to purchase it: fresh and locally. I admit I often freeze a loaf of bread if I know we won’t be eating the entire loaf within a few days (there are only two people in my home, after all). But every time I defrost a slice, it tastes as fresh as the day we got it, which is the beautiful thing about freezing it. I often head to Yellow Dog Bread Company when I know their jalapeño cheddar loaves will be fresh out of the oven (Wednesdays, if you’re curious), purchase one and ask them to slice it for me to take home. I then stay a while because the atmosphere is so damn wonderful. I enjoy a scone and coffee with some of their homemade almond syrup while I do an hour of work on my laptop in their welcoming space. 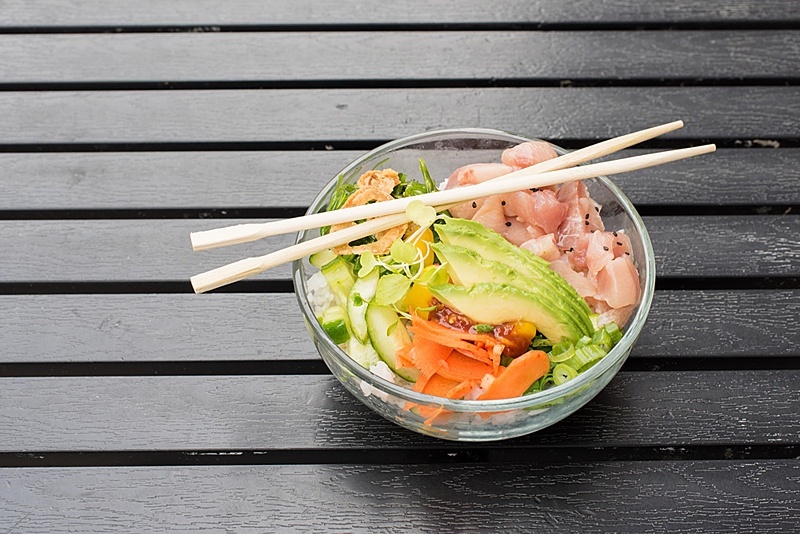 Unlike places like Pokeworks (which I also love, don’t get me wrong), that do a sort of “chipotle”-style of bowl options, they have three simple yet sophisticated options on their poke menu. All are made to order. You simply select one of the three and choose what protein and base you’d like. I usually do a Faroe Monch bowl with yellowtail and a rice base. (The Faroe Monch consists of: mango, chive, pickled carrots, crispy shallot, seaweed salad, cucumber, and citrus marigold microgreens.) It comes out looking oh-so-beautiful and Instagram worthy! They serve it with their homemade condiments too, including a soy-free “soy sauce” and a homemade spicy mayo-inspired topping created with a cashew base instead of mayo. They also serve kombucha, fresh pressed juices, smoothies, soup, and coffee, if poke isn’t your thing but shopping local and supporting a great small business is. It’s a wonder I got so lucky to live just a few blocks from one of the best fine pastry shops on the East Coast. 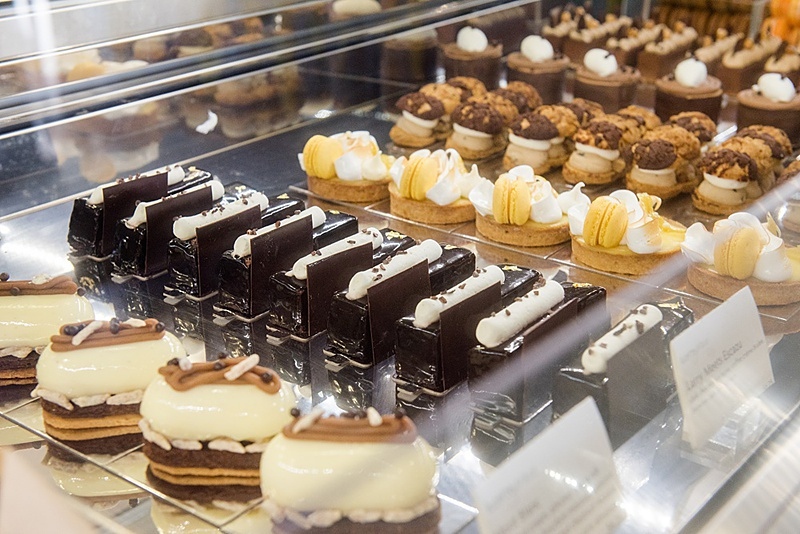 On second thought, I’ve been to Paris and many other nations known for their sweets, and rank the pastries here among some of the best I’ve had in the world. 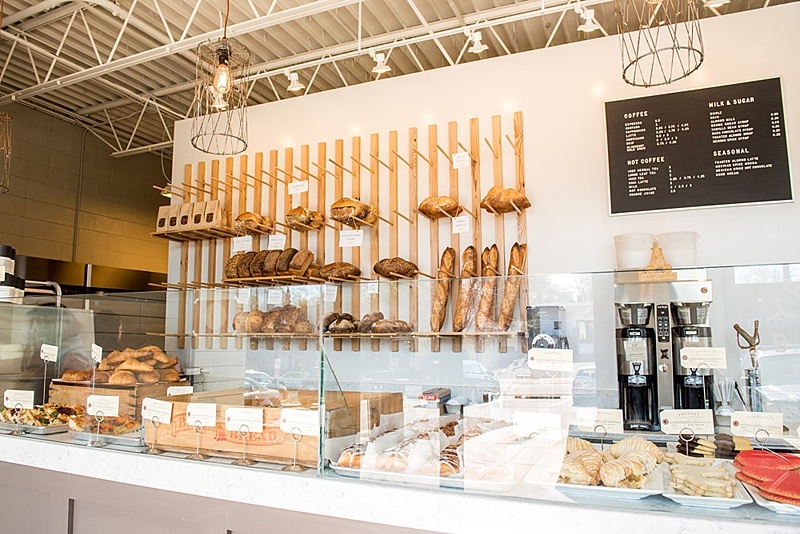 LucetteGrace, the middle names of owner Daniel’s two daughters, is a not-to-miss stop in the downtown Raleigh food scene. If you’re staying downtown, simply walk from your hotel or drive there to enjoy breakfast, lunch or afternoon dessert. The expertly trained chef and his team create absolutely stunning cakelets and breakfast pastries. It’s truly impossible to recommend just one, yet if I had to choose, I’d recommend the Dixie Cannonball breakfast pastry, a staple on their menu. This breakfast biscuit is filled with a surprise interior of warm gravy flavored with sausage. Otherwise, see what’s new and appealing in their display case. Anything fruity or chocolatey always catches my eye! I love visiting to enjoy the sun-filled bar area and cute yellow-dashed decor (Daniel and his father laid the unique tri-color wooden floors themselves), and perhaps meet up with a fellow colleague. The menu is ever changing – they continue to come up with both delicious and attractive confectionary creations, so be sure to visit often! What do you think are the best places to eat in Raleigh? Mikkel Paige is a travel writer and professional photographer spotlighting Europe, Southeast Asia and the United States. When her wedding photography business began to take her all over the globe, she set out to make her travel site into more than a hobby. Her articles focus on the mid-size budget traveler who vacations several times a year. Find her at Sometimes Home. This is the fifth post in the “My Favorite Food Town” series. Check out the previous post: Bansko, Bulgaria. 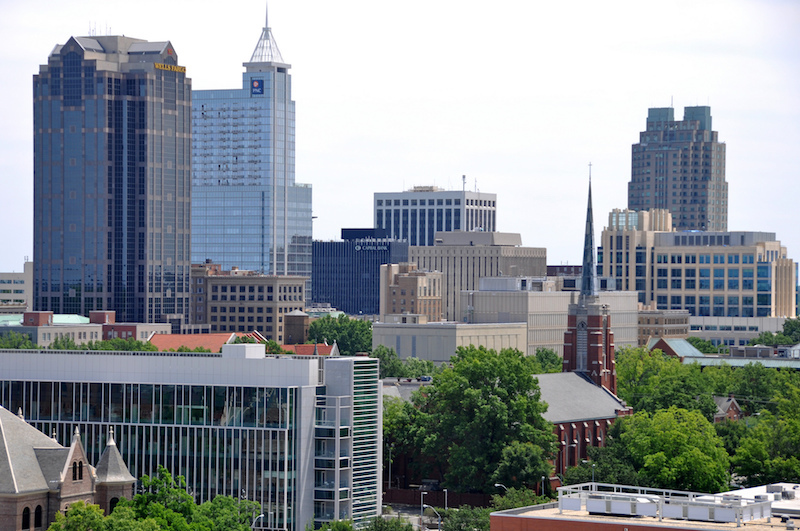 Thanks so much, Mikkel, for sharing your favorite places in Raleigh! They all sound fantastic, and I hope to visit them myself sometime. Great article by Mikkel! And nice series you’ve put together, Brianne! 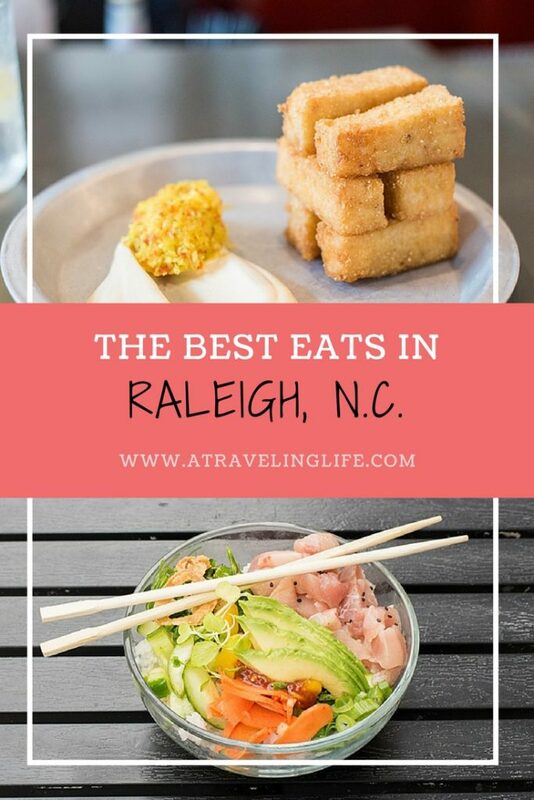 I’m definitely inspired to visit Raleigh and try out some of these delicious places! I love oysters, good bakeries and good confectionary shops so all this is right up my alley. Thanks, Alex! Mikkel’s photos are quite mouth-watering, aren’t they? I haven’t been to Raleigh yet, but when I finally get there, I know I need to have some of those grit fries! Wow, Some new gems to explore here for sure! Thanks for including these places. I have only heard good things about Yellow Dog, so thanks for confirming and putting your stamp of approval on this place that has been on my bucket list for awhile. I already told my partner that we must go there. Of course, as a Southerner any where I can find new and exciting options for grits is always a good day. Thanks for you article! Sumptuous food. I am getting hungry looking at the photos. I’ll definitely drop by St. Roch for my fave oysters this weekend. Glad it is your fave place as well.